The Conceptual Framework takes its title from the School of Education’s vision statement: “Preparing Committed Professional Educators with Knowledge and Practices for a Continuously Changing World.” This framework identifies three areas of focus for all teacher education programs: knowledge, practice, and professionalism. Within each of these areas of focus, the framework identifies specific learning outcomes that will be mastered/demonstrated by all candidates who complete the Master of Education in Elementary Education. The Unit’s Conceptual Framework is consistent with and informed by the Mission Statement of Chowan University. The revised Chowan University Mission Statement and the accompanying Institutional Goals establish and support the basis for expanding the University’s academic offerings to the graduate level. Clearly defined, the Mission Statement has been revised to commit the University to offer “a careful blend of both liberal arts programs and professional programs at both the undergraduate and graduate levels.” (Mission Statement, Chowan University, Revised 2010-11). As reflected in the University’s mission and included in the Unit’s Conceptual Framework, the mission of the School of Education is “to prepare committed professionals to provide quality instruction for all learners … . in an ever-changing, diverse world.” (Mission Statement, School of Education, 2011-12). The Unit’s Conceptual Framework has been revised by the active participation of faculty, administrators, community representatives, candidates, and professional staff from partner schools and school districts. Input has been sought through Unit meetings, review from the Teacher Education Committee, and involvement from schools and school districts who are active partners in the Teacher Education Program. As a result, the Conceptual Framework represents a truly shared vision of the design and implementation of the Unit’s Conceptual Framework. Working committees were formed to allow for broad participation of faculty, candidates, community, and partner school personnel. These working committees held discussions and shared draft documents as they offered input in developing the Graduate Program in Elementary Education and revising the Conceptual Framework for the Unit. The Conceptual Framework ensures the coherence of design, curriculum, and delivery of all teacher preparation programs offered by the Unit. By extension to the graduate level, the Conceptual Framework will provide the focus of the program to prepare master teachers who have the knowledge, skills, and dispositions necessary for a thorough understanding and working interpretation of the professional issues that impact the design, implementation, and evaluation of the elementary school curriculum and instructional program. A Statement of Financial Responsibility, along with a letter from student’s or sponsor’s bank showing amount to cover one year of graduate study. When all documents have been received, they will be reviewed by a representative of the Graduate Council and the Graduate Program Director, who will then forward applications that meet minimum admissions standards to the admissions committee of the appropriate graduate program. In a case in which the Graduate Council representative and the Graduate Program Director are unable to come to an agreement on a particular applicant, the tie will be broken by the decision of the Vice President for Academic Affairs. Applicants who are removed from the application process at this point will be notified by the Chair of the Graduate Council. In order to demonstrate satisfactory academic progress all graduate students must maintain a minimum 2.75 grade point average. Any student not meeting the criteria for satisfactory academic progress is subject to academic probation after the first semester. At this point, the student will meet with the Graduate Program Director to discuss any mitigating circumstances that are affecting the student’s ability to complete coursework. Students who have been on academic probation for one semester and who fail to meet criteria for satisfactory academic progress the following semester will be academically suspended from the University. Students under academic suspension may seek to regain eligibility for continue enrollment by appeal. Individual programs may have additional criteria for remaining in good standing. A maximum of six semester hours may be accepted from a regionally accredited graduate program toward the fulfillment of requirements for a graduate degree at Chowan University. The University Registrar interprets the transfer policy, approves courses for transfer, and certifies students for graduation. Credit will not be given for courses taken more than six calendar years before applying for admission to graduate study. Only courses with a grade of “B” or “A” will be considered for transfer and must be substantially parallel to Chowan University courses. Credit will not be given for courses taken to obtain another master’s degree. Courses accepted in transfer are recorded as credit only. The grade point average used for administering policy and for graduation is computed on academic credit earned at Chowan University. Students currently enrolled in any of the graduate programs at Chowan University must have prior written approval from the Graduate Program Director to take courses from another institution for transfer credit. Students are expected to take the appropriate courses offered by Chowan University once they enter the program. Permission may be granted to take courses offered by other institutions when the appropriate course is not offered by Chowan University or when it is more convenient for the University to approve a course for transfer than to offer the course by special arrangement. 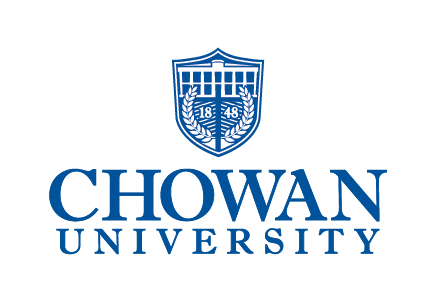 Strong undergraduate students at Chowan University may be permitted, under special circumstances, to register for graduate courses with the permission of the Graduate Program Director. Graduate level courses may not be counted toward both the bachelor’s and master’s degrees. Graduate Program tuition is $400 per semester hour. Tuition increases, when necessary, are usually implemented beginning with the first summer term; however, the University reserves the right to adjust tuition and other charges at the beginning of any semester if such adjustment is necessary in the judgment of the Board of Trustees. Graduate students pay the Graduate Program tuition rate per semester hour for classes designated as Graduate Program classes regardless of the number of hours taken. Graduate Program students who enroll for day classes must pay day tuition rates for day program classes. The fee for TaskStream is $103. The Master of Education in Elementary Education builds upon the University’s strong undergraduate teacher education program. The course work consists of a Professional Core, Elementary Specialty Area, and Portfolio/Product of Learning. The curriculum is based on the idea that a solid preparation will enable the candidates to become professional educators who serve as leaders for learning. Candidates in the program are provided a foundation in diversity, assessment, research methodology, and 21st century skills. The stated purpose of the Master of Education program is to prepare master teachers who have the knowledge, skills, and dispositions to be reflective practitioners and life-long learners who have thorough understandings and working interpretations of the professional issues that impact the design, implementation, and evaluation of the elementary school curriculum. Program graduates will have the skills to interpret and apply current research findings and conduct relevant classroom research. Graduates of the program will be eligible to apply for the North Carolina M-Level license in Elementary Education. The Master of Education in Elementary Education degree requires 30 hours, with a Portfolio/Product of Learning as a culminating project. The program consists of a Professional Core and an Elementary Content: Specialty Area. Candidates without an A Level license in Elementary Education may be granted provisional admission to the M.Ed. program in Elementary Education; in such cases, the candidate must complete all requirements for A Level licensure before the completion of the program. Deliver graduate studies in an atmosphere that promotes the ideals of a “community of scholars” that encourages the exchange of ideas. The Master of Education program is designed to promote professional advancement of the in-service teacher practitioner by building upon the instructional expertise, leadership qualities, and skills of the experienced educator. To that end, courses require classroom, school, and community application and investigation through rigorous data collection and analysis. A special characteristic of the program is the organization of students into cohorts. A unique cohort of students will be admitted for study each fall and will progress through the program as a group. The M.Ed. in Elementary Education program focuses on rigorous attention to issues and changes confronting professional pedagogy through a process of reviewing, interpreting, analyzing, and conducting research pertinent to the discipline and the profession. The competencies included in the North Carolina Professional Teaching Standards, identified by the North Carolina Professional Teaching Standards Commission, are integrated into graduate program content. Evaluation in the Elementary Education Graduate Program will consist of a comprehensive examination at the completion of the Elementary Specialty Area course work. The comprehensive examination will demonstrate that the candidate can articulate theory and can apply theory practically in the classroom setting. Further, this examination will demonstrate mastery of master’s level content and the candidate’s ability to pursue further education. The graduate faculty will develop the questions and a rubric for the comprehensive examination. Questions will be developed and evaluated by faculty members to determine if they represent knowledge of content that meet the requirements of the Master’s Degree license. The levels of competency are Pass and No Pass. If a candidate earns a score of No Pass, they will be asked to rewrite one or more exam questions or retake the entire exam. As part of the requirements to earn a graduate degree, each graduate program has developed a culminating experience which each of its respective graduates must successfully complete. This experience may include a thesis, a product of learning, comprehensive examinations and/or additional class work. The student must complete a minimum of 30 credit hours of graduate level work. Some graduate programs may require significantly more than 30 credit hours. The student must earn a minimum grade point average of 3.00 on all graduate work attempted. Some programs may require a higher GPA. A student who wishes to complete a graduate degree from Chowan University must complete the last twenty-five percent of the credit hours required for the degree in residence. The student must discharge all financial obligations to the University. The student must have the recommendation of the faculty and approval by the Board of Trustees. A student must choose to meet the requirements of the catalog under which he or she entered or the catalog in effect at the time of graduation, but may not use both interchangeably. Major and minor requirements must come from the same catalog. A student who has returned to Chowan after a break in enrollment of more than one semester must choose to meet the requirements of the catalog under which he or she was readmitted or the catalog in effect at the time of graduation, but may not choose the catalog under which he or she originally entered Chowan. The candidate must indicate on the application for graduation the catalog under which he or she intends to graduate. All degree candidates, including transfer students, are allowed six (6) years from the date of enrollment at the University to satisfy the curriculum requirements in effect at the time of enrollment. After six (6) years, the current requirements must be met. Any substitutions or changes in course requirements must be recommended by the department chair and approved by the Dean and the Vice President for Academic Affairs. The student is responsible for making official application for graduation to the Office of the Registrar. Application for graduation must be submitted to the Registrar no later than March 1.